I've been terribly remiss about keeping up the journal but have just had other things to keep me occupied these last few months. I thought it was about time that I caught up, so this will cover a lot of ground. This past winter, if you can even call it that, was very mild. Other than a snowstorm for Halloween, there was no snow to speak of though there was a good deal of rain. Spring came at least a month early, with temperatures hitting the 80s on a few days! The garden woke up a good six weeks earlier than usual and the spring blooms were quite beautiful. I'll be posting lots of photos to the web site as I've shot a few hundred since things started to grow. The What's New page will direct you to them. On 20 March (!) 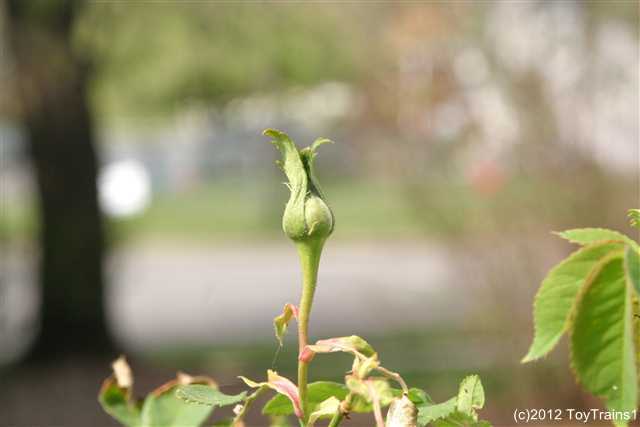 I had the first rosebud. As ever, it was on Louise Odier. But, as is so often the case, she wasn't the first to open a blossom. 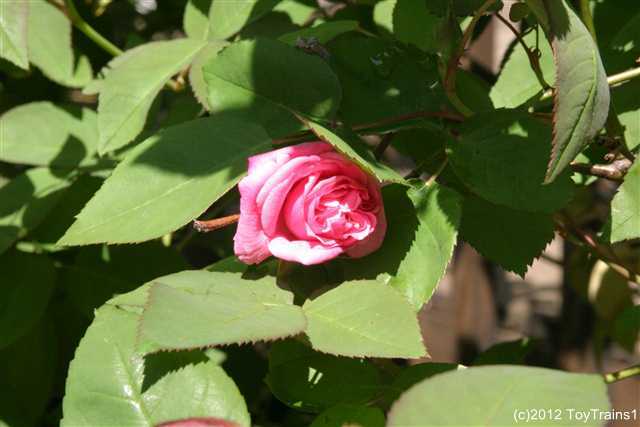 That honor was taken by both Double Delight and Zephirine Drouhin this year; they both opened up a single bloom on 19 April. With both the first bud and the first blooms, they were a good month earlier than usual this year. For the last few months, we've been in something of a drought after the wet winter, but that ended today with an all-day soaking rain that is expected to intensify tonight. It was much needed; I actually had the sprinkler system turned on last week. 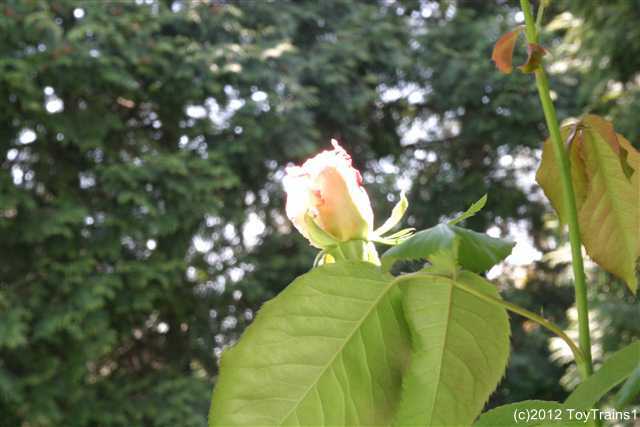 Here are photos of the first rosebud and the first blooms of 2012. (Click on a photo to enlarge it.) First is the bud on Louise Odier.